﻿ YMCA Camp Clay - Ohio. Find It Here. Camp Clay is one of the hidden gems of the Van Wert area. 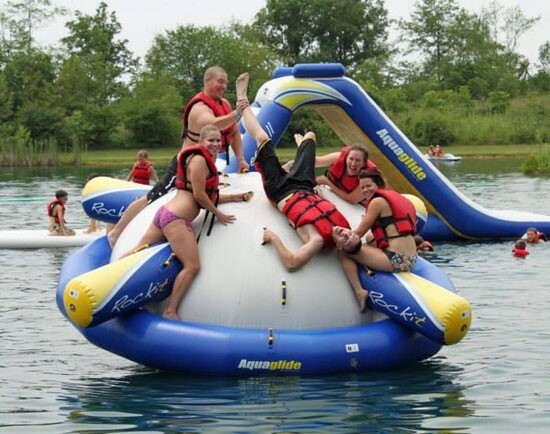 The fully-staffed Aqua Park includes many one-of-a-kind activities including a water zip-line to the island, inflatable aqua toys, paddle boats, canoes, a playground, a sandy beach, concession area and much more. The park also includes a 33,500 square foot splash pad. The camp site is a part of a 140-acre private area equipped with a reconstructed 1837 cabin, tipis, nature center, shelter house, high and low ropes, and a climbing wall.